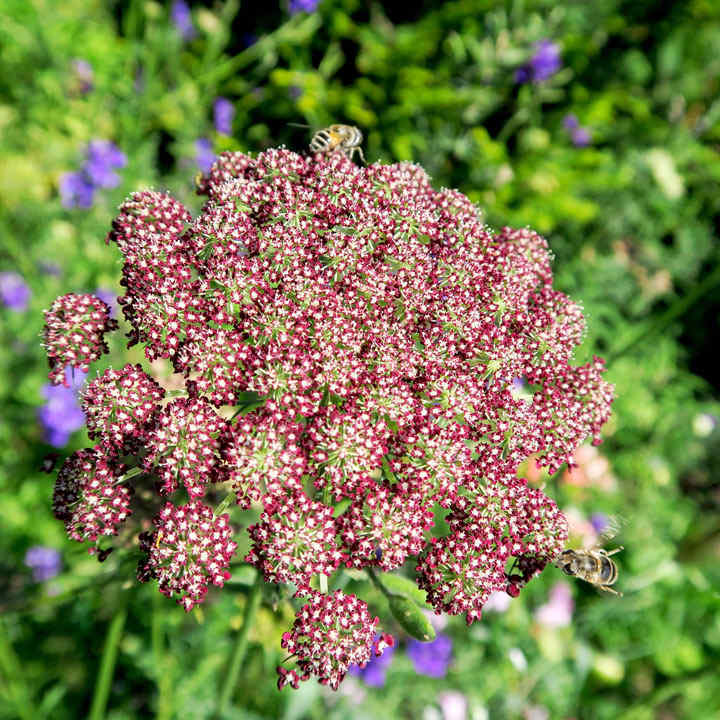 “Commonly known as ‘Queen Anne’s Lace’, ‘Dara’ produces a delicately attractive plant that will re-bloom for months, giving you attractive flowers which will open white, change to soft pink and finally change to rich red/purple.” Sow March-April outdoors for flowers June-September. Can be sown August-September for flowers the following year. Height 60-70cm (24-28").